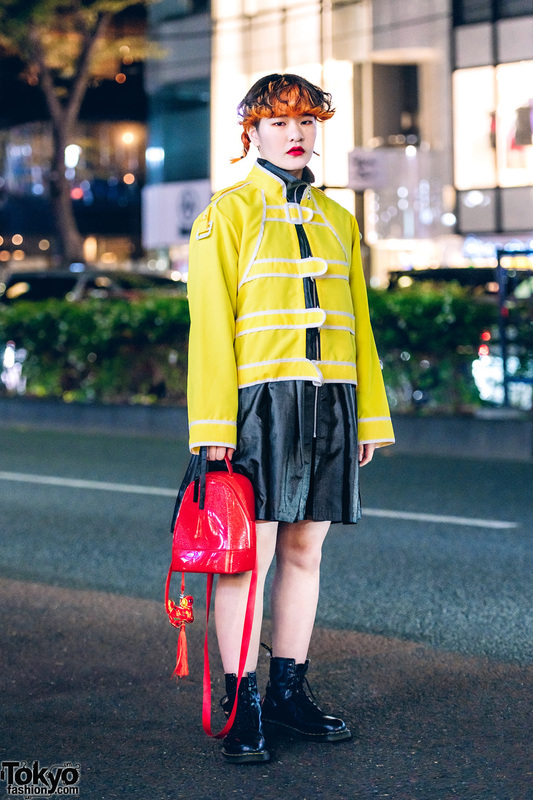 Japanese student sporting an eclectic sporty style with vintage futsal sports shirt, black skirt and pleated panel, mismatched socks, orange sling bag and accessories. 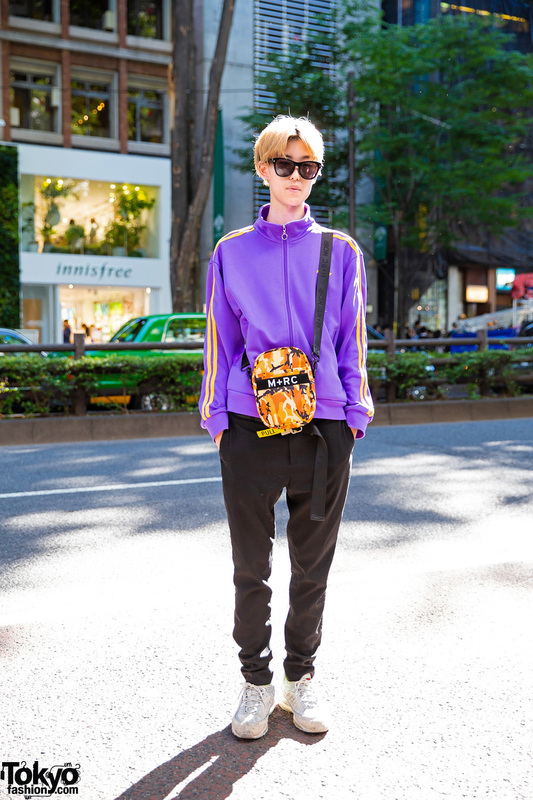 Blonde-haired beauty school student showcasing a sporty casual look while out and about on the Harajuku street. 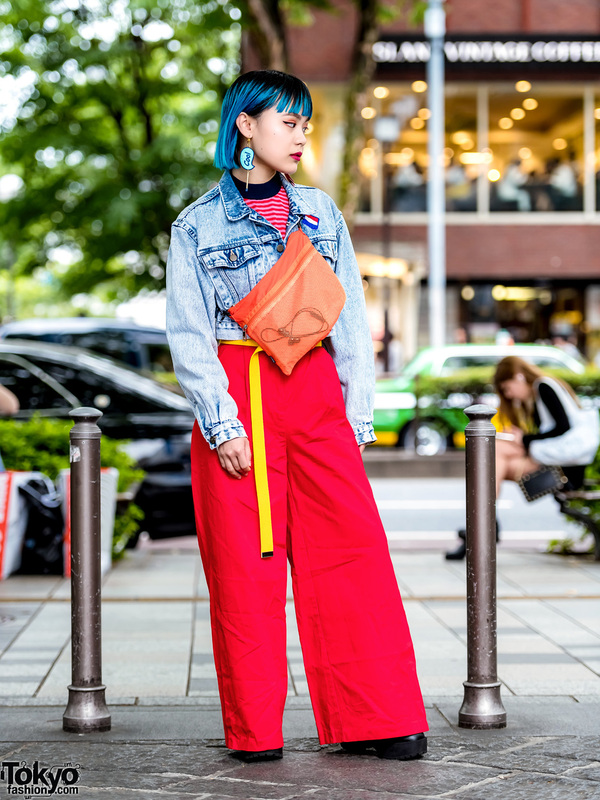 Harajuku girl sporting aqua hair, a denim jacket, wide pants, platforms, and fun earrings while out and about on the street. 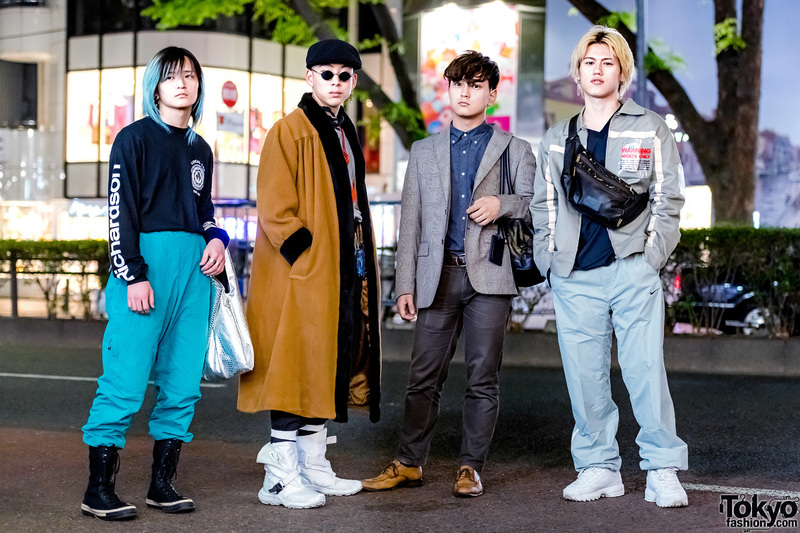 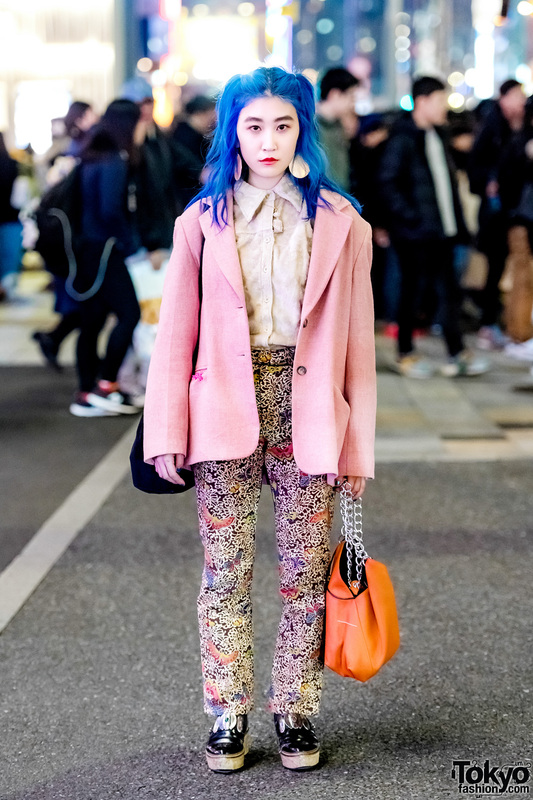 Japanese student with blue hair, pink blazer, and embroidered pants while out and about in Harajuku.